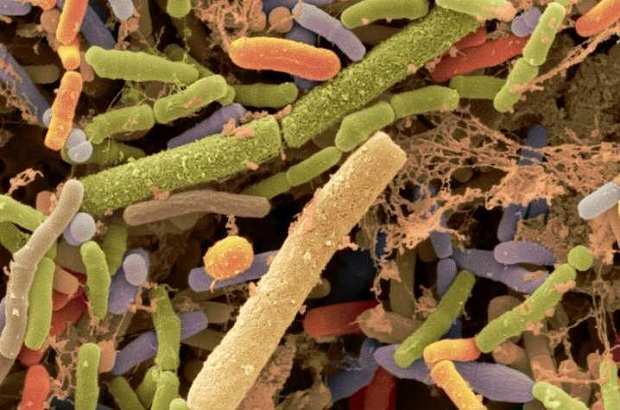 The gut microbiome is composed of trillion fungi, bacteria, pathogens, and microbes. It plays a significant role in our health by benefiting our immune system, controlling digestion and many other aspects of health. Acute arsenic toxicity or arsenic poisoning is a medical condition caused by a high level of arsenic in the body. If there is arsenic toxicity at some time interval, then vomiting, encephalopathy, stomach aches, and watery diarrhea may be involved. Long-term contact may result in thickening and darkening of the skin, abdominal pain, heart disease, cancer, numbness, and diarrhea. Recently a study report has been published in the journal Nature Communications that details his findings of how the gut microbiome is necessary for complete protection against acute arsenic toxicity. The research conducted at Montana State University which shows that microbes in the human gut play a vital role in protecting against acute arsenic toxicity, a problem that affects an estimated 200 million people around the world who are in contact with arsenic through contaminated drinking water. For the past five years, MSU doctoral candidate Michael Coryell has worked with his advisor, Seth Walk and committee member, Timothy McDermott, to investigate how human gut microbiome affects acute arsenic after it has been ingested. With acute arsenic topping the federal Agency for Toxic Substances and Disease Registry's list of the most toxic chemicals for the past 20 years, the research is particularly important because even chronic low levels can lead to cancer or cardiovascular disease later in life. Michael Coryell, a doctoral candidate in microbiology and immunology and fellow in the Molecular Biosciences Program in MSU's College of Agriculture and the College of Letters and Science, he won in 2016 a Ruth L. Kirschstein Individual Predoctoral National Research Service Award from the National Institutes of Health said he is hopeful his work will contribute to the development of probiotic and microbiome-focused therapies that can mitigate the risk for arsenic toxicity. "One of the next big challenges for microbiome researchers will be translating laboratory findings like this into real-world solutions," said Coryell. Past studies have shown that microbes in the environment can biochemically transform naturally occurring arsenic in soil or rocks -- either into less toxic or more toxic forms -- a topic McDermott researches in MSU's Department of Land Resources and Environmental Sciences in the College of Agriculture. "That was a big advance because we were able to look at the germ-free mice and put back the microbiomes we wanted to examine from different people. We found that depending on which microbiome the mice got, they were protected to varying degrees. These results suggest that the microbiome of some people may be more protective than others, and may answer the question of why some people who drink from a shared water source tainted with arsenic develop the disease later in life while others don't. That idea really hasn't been incorporated into any epidemiological study or model," Walk said. Folks are moving into this field, but what our data shows pretty definitively is that both the microbiome and its composition matter. So, in order to predict how likely certain individuals are to develop the disease, we need to account for the microbiome and just how protective it is," he said. "These results help us establish that foundation. Microbiome research is moving to microbiome-focused therapies for what we know it plays a role in, and clean food and water is a big topic here in Montana and around the world, he added.